He added, “We know the policy solutions are on this,” then suggested all of our rights are limited, including the Second Amendment. A few points need to be made. First, Ryan’s answer implies an AR-15 is a weapon of war. It is not. His statement fails to differentiate between an AR-15, which is a semiautomatic rifle, and an M4 or M16, both of which are fully automatic weapons used in warfare. Second, Ryan talks about the trepidation students, parents, and teachers feel at school and even goes so far as to say, “We know the policy solutions are on this,” yet he never mentions the danger of gun-free zones. Such zones are a magnet for killers who want to be sure their victims cannot shoot back. 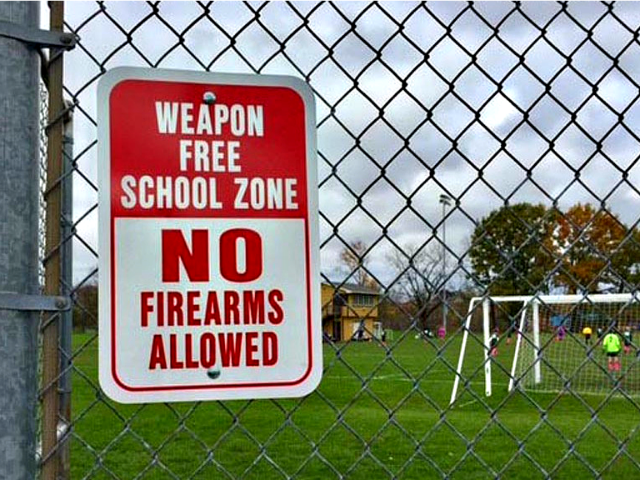 A ban on “assault weapons” would do nothing to end mass shootings in general or school shootings in particular. The May 18 shooting at Santa Fe High School resulted in the deaths of ten innocents and it was carried out with a revolver and a shotgun.